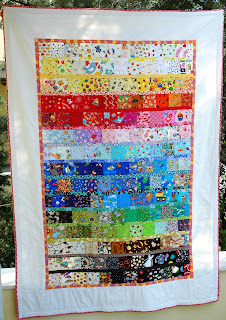 In honor of that momentous occasion, here's a roundup of amazing quilt inspiration. As always, click the photo for the link! 1. I'm a sucker for bunting/pennants in any craft form. 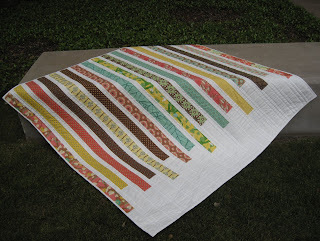 Love it in a quilt! 2. Love the strips on this one. Very clean look for lots of cute fabric! 3. 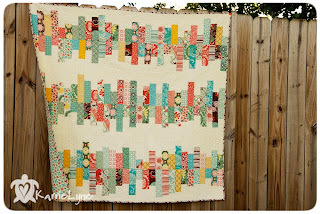 This is a truly unique use of those gorgeous scraps! 4. GORGEOUS white space on this one. LOVE IT! 5. 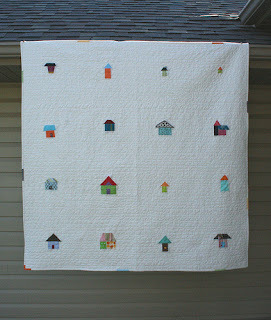 I like the idea of an I-Spy quilt (Logan is particularly into the game these days) but I haven't seen one I've particularly liked until now. Love the rainbow effect on this one. 6. 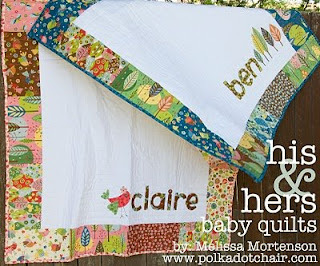 What a cute idea for a baby gift!